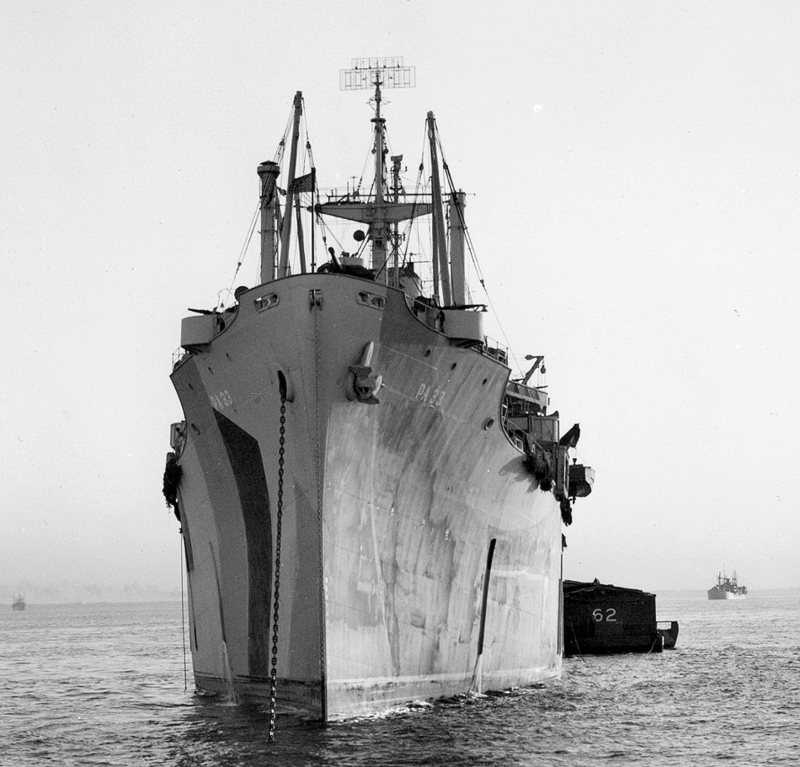 USS Bayfield (APA-33) at Norfolk from the starboard on October 29, 1944, wearing camouflage 32/3D. The colors are dull black, ocean gray and light gray. The circles are modifications made by the shipyard. Photo source: NARA BS 74917. Another shot of USS Bayfield (APA-33) at Norfolk on October 29, 1944, this time from the bow, wearing camouflage 32/3D. Either the sunlight has washed out the port bow panels or else they have not been finished painting. Photo source: NARA BS 74920. 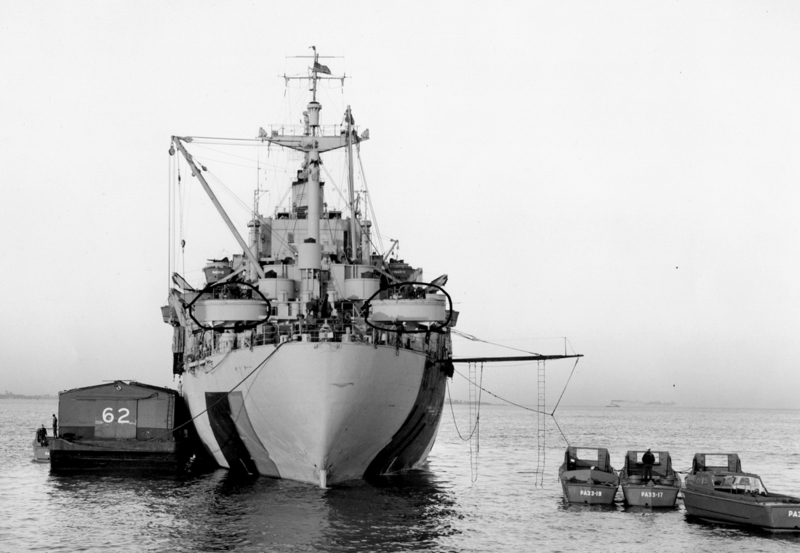 Another shot of Bayfield on October 29, 1944, from the stern, wearing camouflage 32/3D. Again, the circles indicate changes made by the shipyard. Photo source: NARA BS 74921. 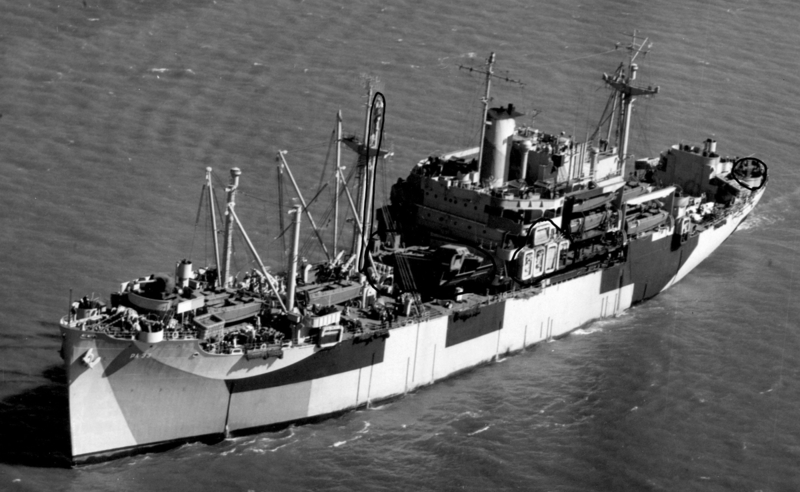 An aerial view of USS Bayfield (APA-28) on October 29, 1944, again at Norfolk wearing camouflage 32/3D. The painting is definitely complete. Photo source: NARA BuAer 285302. Another distant aerial view of USS Bayfield (APA-33) on October 29, 1944, at Norfolk wearing camouflage 32/3D.